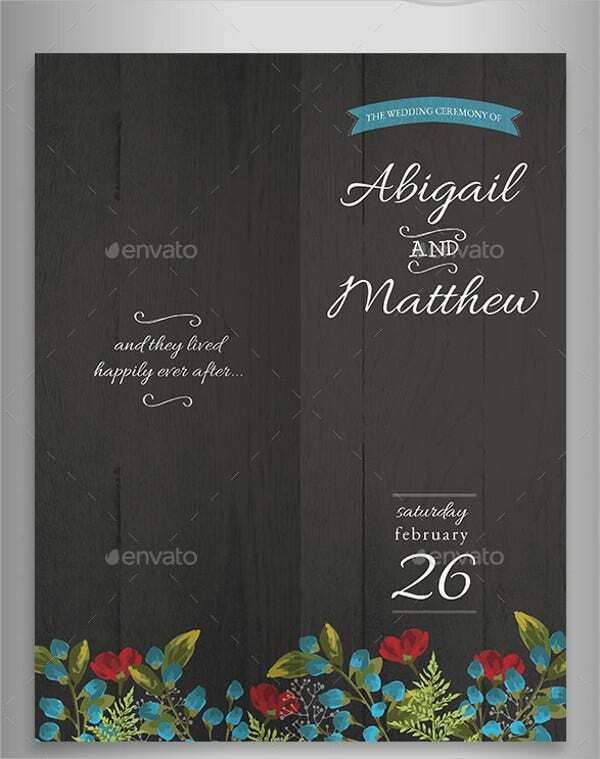 A wedding reception is very important as it serves as the culminating event of the wedding. People gather at the reception after the ceremonies of the wedding and it is the time when they fully celebrate the union of two people. There are many things that can be done in a wedding reception to assure that guests will have a memorable time within the entire duration of the wedding reception. 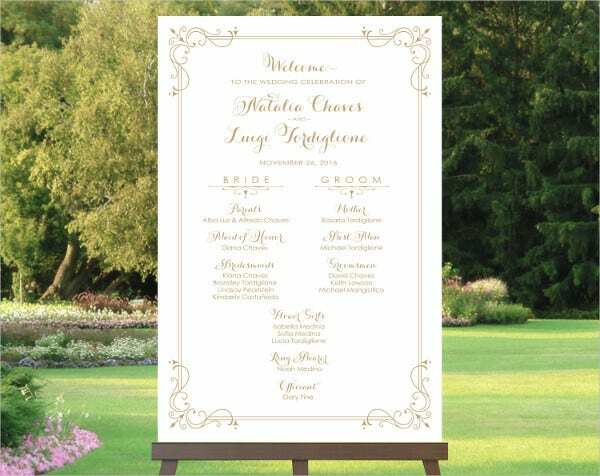 A wedding reception program will be very helpful in the process of assuring that there will be enough activities for the guests during reception. 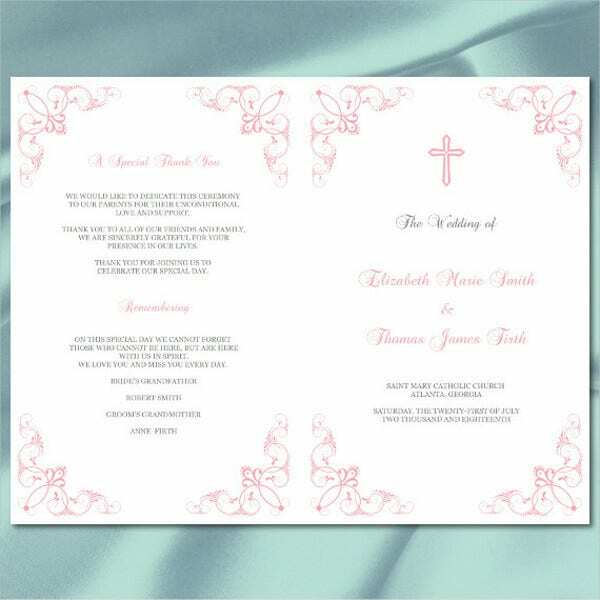 Other than our downloadable wedding reception program, we can also provide you with Wedding Program Templates so you can detail not only the program for your wedding reception but the program for your wedding ceremony as well. Do not use too many words. Be precise so that the space will not be fully occupied and that it will be easily read by the guests of the wedding. 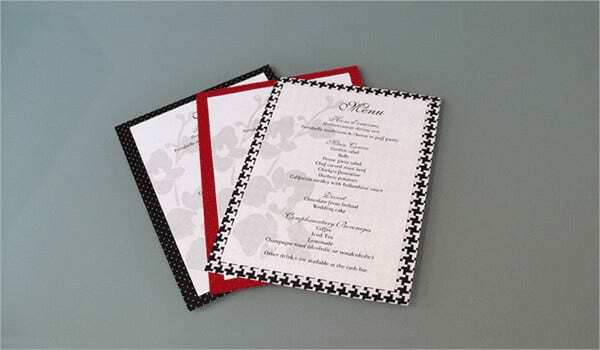 Make sure that there is at least one wedding design element that will be applied to the wedding reception program. 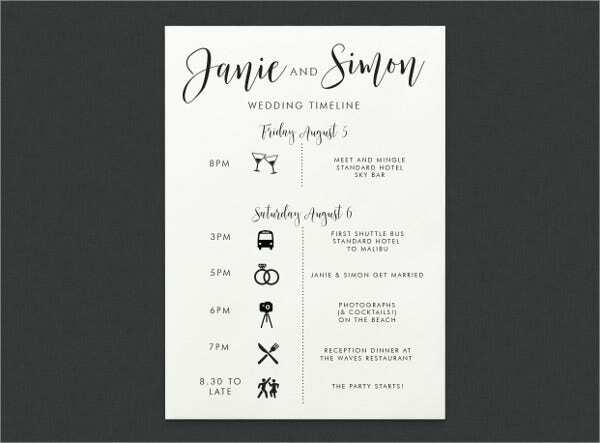 Make sure that the timeline stated in the wedding reception program is accurate so to not cause confusion the the guests of the wedding. 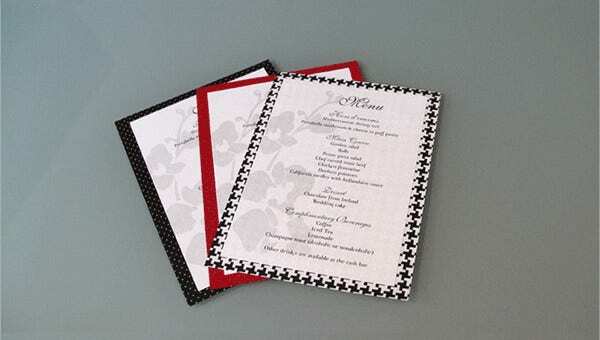 Other than our wedding reception program samples, you may also download our Wedding Ceremony Program Templates. It helps the guests know about the activities that are to happen in the reception. It ensures the invited people in the wedding that they can go home in a period of time while seeing all the major activities in a wedding reception. It allows the people to know the specific times in which parts of the program will be done. 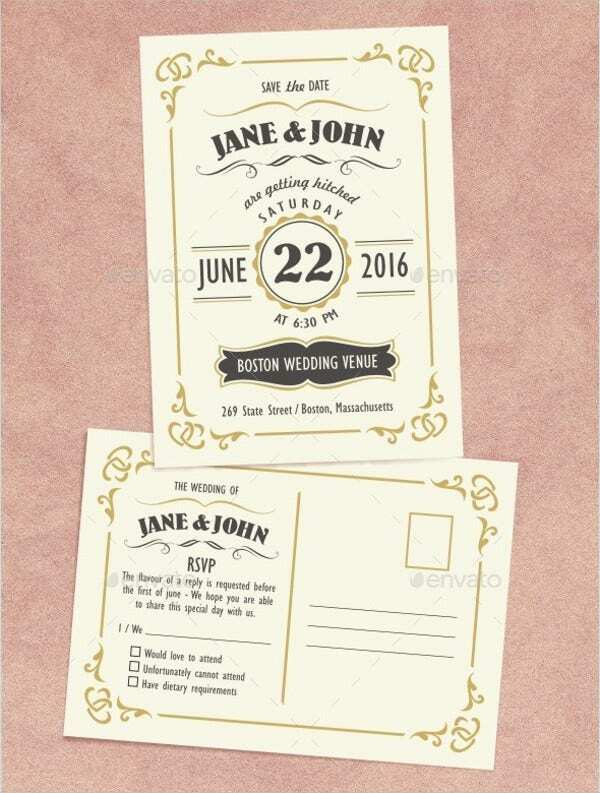 It allows guests to talk to each other about the wedding and other things that may or may not concern the couple. It serves as the venue for the celebration of the wedding ceremony. It is where the fun programs and activities prepared are subject to be implemented. It is the place and time where the couple can share their appreciation the people who took their time to celebrate with them. If you are to be wedded, take time in considering the creation of a wedding reception for your guests. 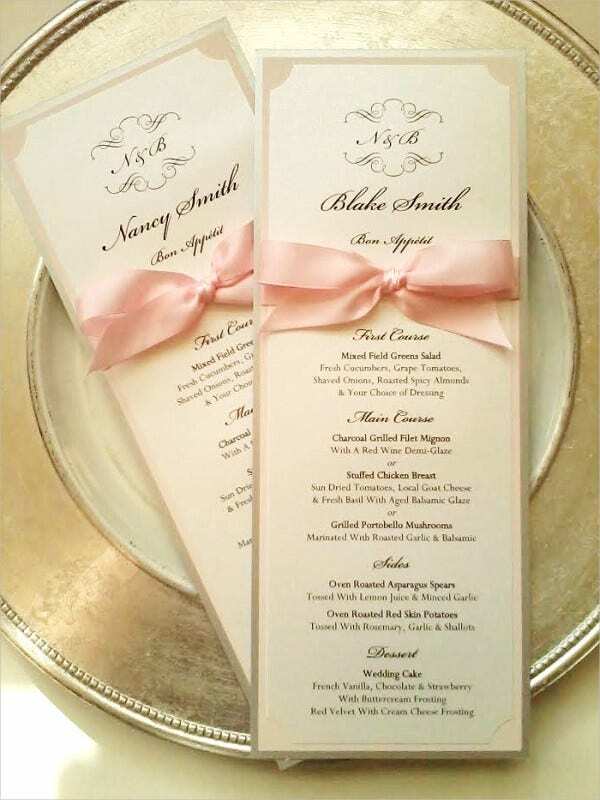 Other than our samples of a wedding reception program, you can also use our downloadable Wedding Timeline Templates.